Time of Origin: Planet and time of origin unspecified; the available evidence suggests that Xoanon was created by humans before the ship he was on crash-landed on an uninhabited planet, but beyond the fact that this must have occurred thousands of years in the future no details were ever expressly provided. Appearances: "The Face of Evil"
History: Although Xoanon and The Doctor only directly encountered each other once, Xoanon is easily one of The Doctor’s most personal enemies, because the danger posed by Xoanon only came into existence because The Doctor made a mistake. Xoanon began life as the computer on a Mordee ship - presumably an Earth colony given that The Doctor often described the inhabitants of the planet where he encountered Xoanon as human - but after it crash-landed on an unnamed planet, the technicians’ attempts to extend the computer’s power supply caused it to develop into a completely new life form, resulting in it going into shock after its ‘birth’. Shortly after the computer’s ‘birth’, The Doctor arrived on the planet, apparently taking a brief trip in the TARDIS while his mind was still addled by his latest regeneration ("Planet of the Spiders"); as a result, he attempted to repair Xoanon in the belief that the computer’s core was broken rather than recognising that it was a life-form, granting it access to his mind to stabilise it via a mental interface before he returned to Earth, the TARDIS arriving back in UNIT HQ at the exact moment it left, with The Doctor’s currently-confused mental state meaning that not even he remembered he had ever been away ("Robot"). As a result of The Doctor’s actions, when Xoanon reactivated it had a complete personality in the form of an exact duplicate of The Doctor’s psyche - The Doctor having either forgotten or failed to wipe his personality from the data core when he’d finished reprogramming it, Xoanon having taken everything from The Doctor’s mind rather than just the compatible parts - believing itself to be The Doctor until it began to develop its own personality once again. Due to its conflicting personalities, Xoanon grew to a point where it was at war with itself, manipulating the people of the planet to serve as extensions of its own madness. Convincing itself that it was creating a race of super-beings by its actions, Xoanon manipulated the twin societies developing on the planet by pitting them against each other, the descendents of the ship’s survey team - who came to be called the ‘Sevateem’ - becoming a group of strong hunters with keen instincts while the technicians - the ‘Tesh’ - developed powerful mental abilities, Xoanon believing that it would eventually bring the two sides together while really driving them to act out its own madness. To ensure that it could monitor both tribes, the Tesh were confined to the crashed space ship by a temporal barrier - everything inside the barrier being a couple of seconds out of sync with the rest of the universe - while the Sevateems’ territories were limited to an area contained by low-level sonic disruptors due to the presence of strange invisible creatures created as a result of the psychokinetic manifestations of the dark side of Xoanon’s ID, the disruptors giving the creatures a headache due to their sensitivity to sound frequencies that prevented them from penetrating the village while keeping the Sevateem trapped between the barriers. 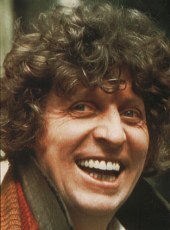 This status quo continued until The Doctor returned to the planet, swiftly establishing the situation he now faced even if he was initially unable to recall his original visit ("The Face of Evil"). Having narrowly escaped being executed as the Evil One, aided by Leela - a member of the Sevateem who had been exiled shortly before his arrival for speaking out against Xoanon - The Doctor penetrated the Tesh’s lair and confronted Xoanon, only to prove unable to convince Xoanon of his true nature as an independent entity. As Xoanon attempted to exert control over the people of the planet to use them against The Doctor, regarding The Doctor as a threat to his world as he contradicted Xoanon’s beliefs about the world, to the extent that Xoanon attempted to set the ship’s atomic generators to overload, setting up an explosion that could destroy half the planet, leaving The Doctor only a short time to set up a means of wiping his personality from Xoanon’s mind. Despite the entire population being taken over by Xoanon to halt The Doctor, Neeva - the shaman of Leela’s tribe, recently driven mad by the rapid pace of events after The Doctor’s arrival as so much contradicted what he believed in, thus preventing Xoanon from controlling him - was able to distract Xoanon long enough by attacking him, the temporary diversion of power necessary for Xoanon to destroy Neeva providing enough time for The Doctor to finish the job, although he was left unconscious for two days as a result. Having spoken with Xoanon to straighten out why he had provoked the Tesh and the Sevateem into fighting each other, The Doctor departed, leaving the two tribes to select a leader for their new world (They initially chose Leela, but she recognised that she was too unreasonable and left to travel with The Doctor instead). Although The Doctor has never returned to Leela's planet, he clearly retains a strong sense of respect for Xoanon's abilities; when the Sixth Doctor was compiling a list of the most advanced computers in the universe when trying to defeat the Quantum Archangel - a woman who had been granted the power of a god and sought to remake the universe, needing an advanced computer to cope help her calculate the sheer scale of the changes she wished to make ("The Quantum Archangel") - Xoanon was one of the first computers on his list, along with the Matrix of the Time Lords, the Conscience of Marinus ("The Keys of Marinus"), and the God of the People (An artificial intelligence monitoring a Dyson Sphere containing a race called the People, who were so advanced they had a non-agression pact with the Time Lords) ("The Also People").